You are here: Home / Free Samples | Freebies | Free Stuff / FREE Amazon Gift Card for $3 – Redeem Instantly! Hurry to take advantage of this easy, free money! You’ll need to grab your smartphone, and get the free app. Then scan ANY grocery receipt dated within the last 2 weeks, and you’ll instantly get to redeem for a FREE Amazon, CVS, Panera or Target gift card worth $3! IMPORTANT! Be sure to follow these steps exactly! If you don’t enter the code during signup, you will not get bonus points then OR for your first receipt. Then you will not get a FREE Amazon gc! Do NOT wait on this one! This promo ends Wednesday! Scan ANY grocery receipt dated within the past 2 weeks and get another 3,000 points. Have you gone shopping lately? Grab your receipt and scan it in. Or, head to the store today and grab a receipt to scan. Or, find a receipt somewhere – whatever you do, you have 24 hours to do it! Redeem your free amazon (or choice) gift card instantly! 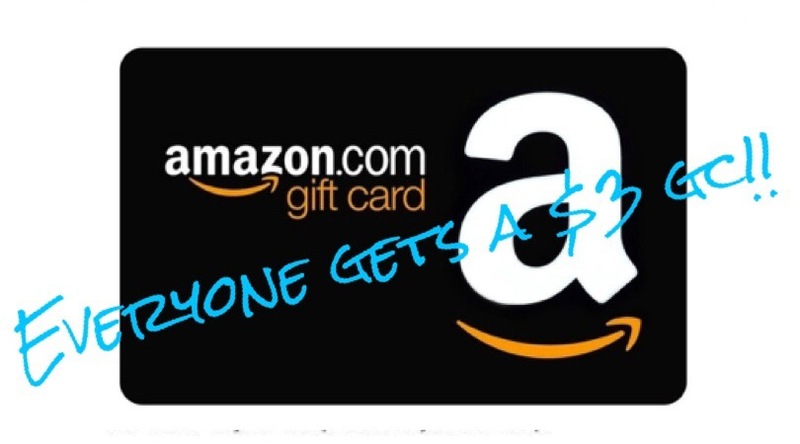 Once you receive your gift card, head to Amazon.com and use it! Just in time for holiday shopping! Grab your link and refer your friends for 3,000 bonus points! And, they’ll get 3,000 points as well.